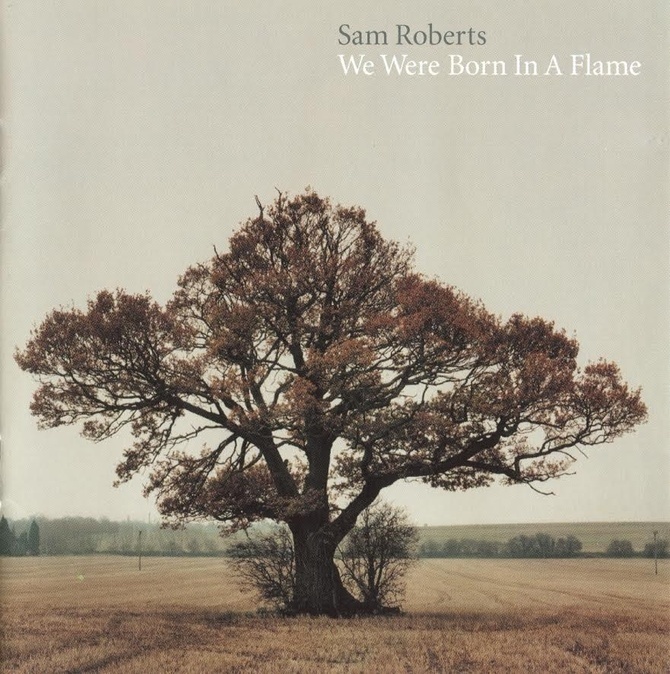 When Sam Roberts released his debut album, We Were Born In A Flame, in the summer of 2003, Toronto was still reeling from an economic downturn that came as a result of an outbreak of SARS (Severe Acute Respiratory Syndrome), which had hit the city earlier that year. In an effort to boost tourism, the city ran its now infamous Molson Canadian Rocks for Toronto concert or as it’s more affectionately known, SARSstock, at Downsview Park. The Stones, who headlined and have been known to stage tour rehearsals here in Toronto, helped to organize the event for which tickets were sold at what used to be Dominion Grocery Store. 500,000 people made it out that day. Lucky for fifteen year old me, I caught Roberts just as he was on his way up, promptly bought the album from a pop-up merch stand and never looked back. Sonically, We Were Born In A Flame was distinctly driving and always homey––true Canadiana in the sweetest kind of way. Lyrically, it revealed Roberts to be a modest poet, never tying up his intentions with pretension and always sealing every word with a heartfelt sense of conviction. The album also put Roberts’ snapshot, storytelling style, which follows in the footsteps of songwriters like Neil Young and Gordon Lightfoot, on full display. But what was probably most interesting about the album at the time of its release, was that it was really an infectiously written commentary on the idiocy of modern life in the Western world. I remember hearing “Brother Down” on the radio for the first time––it just had such an edge to it. Between that tinkering guitar riff and those hallow bongos, it was simple and kind of overcast––it certainly didn’t sound like anything else on the radio at the time––but it got under your skin and stayed there. It was also the first time audiences became aware of Roberts’ knack for speaking to the human condition while delivering it as swingin’, upbeat, radio-friendly rock and roll, which is exactly what made We Were Born In Flame a hit. From singles like “Where Have All The Good People Gone,” and “Don’t Walk Away Eileen,” to album cuts such as “Hard Road,” “Higher Learning,” “Dead End” and “Every Part of Me,” We Were Born In A Flame is the kind of solid debut album that establishes the context of an artist’s career. Continue reading via Vice’s Noisey Music.